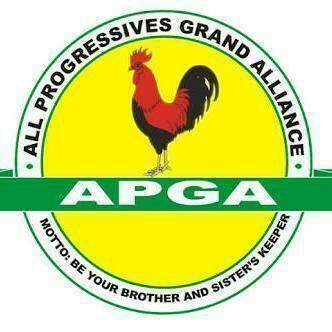 Home / Unlabelled / APGA Members In Anambra North Chart Course To Consolidate Victory . APGA Members In Anambra North Chart Course To Consolidate Victory . By EGBUNA AMUTA - November 25, 2018.
elections have pledged to work in synergy to uphold and sustain the worthy legacies of Governor Willie Obiano. The APGA flag bearers made this pledge during a meeting convened by the party’s standard bearer in the Senatorial District, Dr. Chinedu Emeka at the GRA, Onitsha. of the country in the coming polls. pointing out that true federalism would be of tremendous benefits to Ndigbo and also enhance the unity of the country. Dr. Emeka equally advised APGA candidates to continue extending olive branches to their aggrieved opponents during the recent primaries of the party in order to ensure that the party contests the general polls as a united family. North and South Federal Constituency, Princess Chinwe Nwebili, candidate for Ogbaru, Chief Chinedu Obidigwe, candidate for Anambra East and Ekene Enefe, candidate for Oyi and Ayamelum Federal Constituency, including other candidates of the party for the Anambra State House Assembly. They unanimously pledged to jointly work in harmony with each other in order to achieve another overwhelming victory for APGA in the state in the 2019 general elections, adding that their success would give additional impetus to delivery of democracy dividends by the Obiano administration in Anambra state.